INTI College Sabah (INTI) has recently been appointed as the Entry Point Project (EPP) owner for the Hospitality and Tourism Discipline Cluster in Sabah. As the cluster leader, INTI will be responsible for transforming Sabah’s hospitality and tourism education programmes to meet first class standards, a vision being driven by the Malaysia Centre of Tourism and Hospitality Education (MyCenTHE). 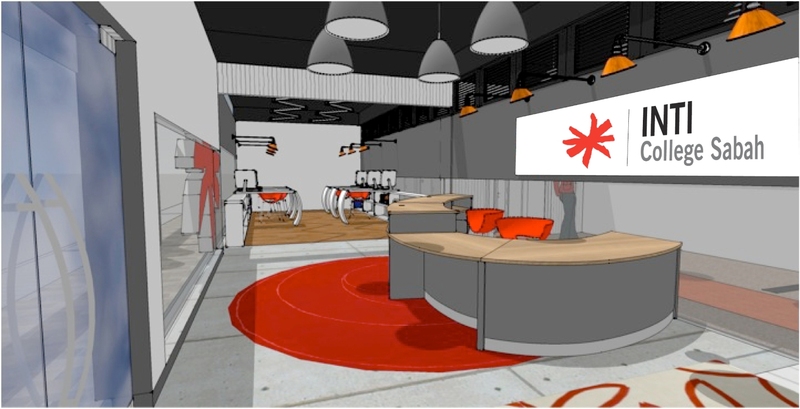 Artist’s impression of the foyer at INTI College Sabah. INTI recently announced the commencement of campus renovations, which are scheduled for completion by May 2012. The new facelift are of environmentally-friendly design and includes a mock hotel room and refurbished kitchen to accommodate students seeking a fulfilling learning experience in hospitality management. INTI also aims to ready its premises to provide workshops and training in collaboration with the Malaysia Hotel Association and work-based learning through partnerships with several hotel and accommodation owners. Currently, INTI offers a Diploma in Hotel Management programme, which can be completed within 2.5 years. Subsequently, students can choose employment or to further their studies with prestigious institutions under the Laureate International Universities network, which include Glion Institute of Higher Education and Les Roches International School of Hotel Management in Switzerland and Blue Mountains International Hotel Management School in Australia. “According to the World Travel & Tourism Council (WTTC), the Travel and Tourism industry is one of the world’s largest industries, supporting 260 million jobs and generating 9 per cent of world GDP. As such, we should no longer view hospitality management careers lightly and ensure that our graduates are provided quality education to prepare them for the competitive and fast-paced demands of the industry,” adds Dr. Lim. 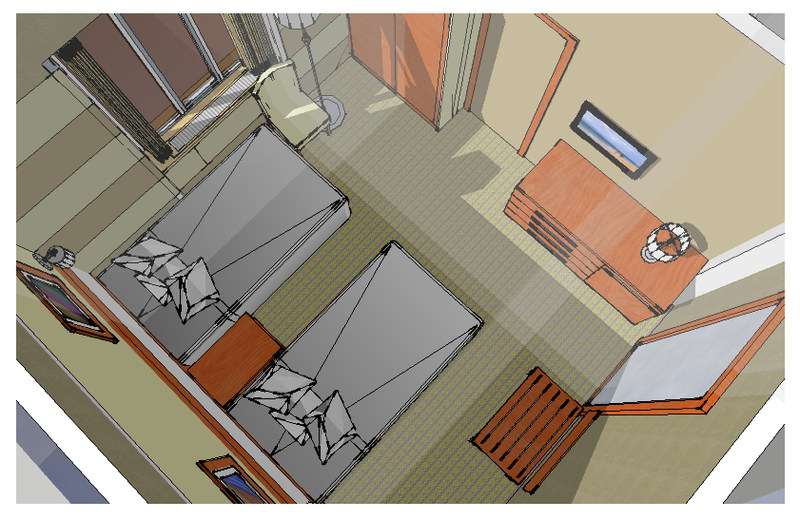 Artist’s impression of students’ hostel room at INTI College Sabah. Recently, the State Government of Sabah projected 2.75 million or more tourist arrivals for 2012, a 4.6% increase a compared to year 2011’s 2.63 million target. This prompts the need to ensure that the education industry continues to groom good talents to meet the demands of the domestic and global tourism and hospitality industry. For further information on INTI’s programmes, call 088-765701.